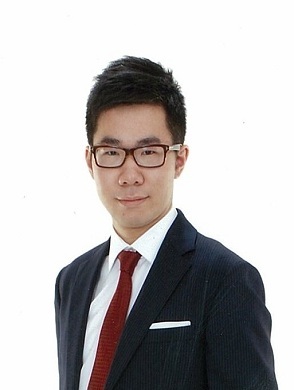 Karlson Leung studiert an der Rechtsfakultät der Universität Toronto und ist gegenwärtig Summer Fellow am Max-Planck-Institut zur Erforschung multireligiöser und multiethnischer Gesellschaften in Göttingen. The recent case of Shayara Bano v Union of India (“Shayara Bano”) heard before the Supreme Court of India provides helpful guidance for how a secular democratic regime with a multiplicity of religious, ethnic, and cultural communities can manage constitutional governance with an increasing number of seemingly irreconcilable tensions. Pluralist societies such as Canada and the United States grapple with a variety of delicate balancing acts: in such instance, the need to reconcile accommodation for religious and cultural minorities with the protection of gender rights on the other. Writing for the majority, Justices Rohinton Fali Nariman and Uday Umesh Lalit held that although the Muslim Personal Law (Shariat) Application Act, 1937 (“1937 Act”) regulated triple talaq, the practice was unconstitutional owing to its manifestly arbitrary nature and violation of the right to equality under Article 14 of the Constitution of India (the “Constitution”). The issue to be decided was whether the 1937 Act covers the practice of triple talaq and hence could be struck down, or that personal laws are not covered under Article 13(1) of the Constitution which states that laws in force that are inconsistent with constitutionally protected fundamental rights are void. As such, this question goes to the core of what many multicultural democracies, some with plural legal systems, struggle to reconcile with – namely, how far does religious accommodation go when it comes head to head with other fundamental rights. The majority concluded that the 1937 Act is a pre-constitutional legislative measure that would directly fall within Article 13(1) of the Constitution. Further, it is “clear that all forms of Talaq recognized and enforced by Muslim personal law are recognized and enforced by the 1937 Act. This would necessarily include Triple Talaq when it comes to the Muslim personal law applicable to Sunnis in India” (at para 18 of the decision). The question, then, is what constitutes an essential religious practice and hence warranting protection under the Article 25 right to freedom of religion. Triple talaq is only one form of talaq, which is permissible in law and tolerated by the Hanafi School, and does not constitute an essential religious practice pursuant to Javed v State of Haryana, a 2003 Supreme Court case, which held that: “What is permitted or not prohibited by a religion does not become a religious practice or a positive tenet of a religion […] the same can be regulated or prohibited by legislation in the interest of public order, morality and health […]”(para. 24-25). Lastly, the key question was whether the 1937 Act in enforcing triple talaq as a rule of law in the Courts in India violated a fundamental right. The majority held that the “thread of reasonableness runs through the entire fundamental rights Chapter. What is manifestly arbitrary is obviously unreasonable and being contrary to the rule of law, would violate Article 14” (para. 45). The majority defines manifest arbitrariness as “something done by the legislature capriciously, irrationally and/or without adequate determining principle […] when something is done which is excessive and disproportionate, such legislation would be manifestly arbitrary” (para. 55). Applying the test of manifest arbitrariness, the majority found the practice to constitute a violation of a fundamental right under the Article 14 right to equality. The majority arrived at this conclusion on the basis that triple talaq is rather innovative: it is a form of talaq that is considered sinful though lawful in the Hanafi school of Shariat law. Second, the instantaneous and irrevocable nature of triple talaq makes it manifestly arbitrary. As such, the 1937 Act conflicts with the fundamental rights recognized under Part III of the Constitution and “must be struck down as being void to the extent that it recognizes and enforces Triple Talaq” (para 57). The decision emphasizes that the practice of triple talaq lacks legal sanction as it is against the tenets of the Quran: “What is held to be bad in the Holy Quran cannot be good in Shariat and, what is bad in theology is bad in law as well” (at para 26 of the decision). Justice Kurian agrees with the dissent on the point regarding the governing legislation and found that the 1937 Act is not a legislation regulating talaq, but the act rather “simply makes Shariat applicable as the rule of decision in the matters enumerated in section 2 [i.e. that Shariat applies to personal law where the parties are Muslims]” (para 4). On the question of whether the 1937 Act can be challenged for arbitrariness, Justice Kurian agrees with the majority (para 5). To freely profess, practice and propagate religion of one’s choice is a Fundamental Right guaranteed under the Indian Constitution […] However, on the statement that triple talaq is an integral part of the religious practice, I respectfully disagree. Merely because a practice has continued for long, that by itself cannot make it valid if it has been expressly declared to be impermissible. The 1937 Act does not permit practices that are against the tenets of Quran, and as such, there cannot be constitutional protection for such a practice. Justice Kurian concluded that it is up to the legislatures to decide how to reconcile religion with other constitutional rights in the future (para 25). The dissenting opinions from Chief Justice Jagdish Singh Khehar and Justice S Abdul Nazeer highlight that the practice of triple talaq is not regulated by the 1937 Act but rather enjoy constitutional protection under Article 25 as an intrinsic part of personal law (at para 146 of the decision). The dissent instead called for an injunction on the practice of instant triple talaq for six months such that the legislature can address the matter. Khehar CJI concluded that the practice constitutes a matter of faith for Sunni Muslims of the Hanafi School (of which 90% of Sunni Muslims belong in India) who have practiced triple talaq for at least 1,400 years (para 192). As such, triple talaq did not come under codified, statutory law and cannot be struck down as it was personal religious law which comes under constitutional protection. The dissenting opinion held that: “[r]eligion is a matter of faith, and not of logic. It is not open to a court to accept an egalitarian approach, over a practice which constitutes an integral part of religion” and as such “[w]e cannot accept the petitioners’ claim, because the challenge raised is in respect of an issue of ‘personal law’ which has constitutional protection” (paras 193-194). It was the intent of the Constituent Assembly “to protect ‘personal laws’ of different communities by elevating their stature to that of other fundamental rights” (para 94). In disagreement with the majority, the dissent also found that “it is not possible for us to hold, the practice to be invalid in law, merely at the asking of the petitioners, just because it is considered bad in theology” (para 127). Ultimately, the dissent found that it was not the role of the courts to change the law on the matter of triple talaq, but it should rather be left to the legislature to decide: “[t]here can be no doubt, and it is our definitive conclusion, that the position can only be salvaged by way of legislation […] Unfortunately, the Union seeks at our hands, what truly falls in its own” (para 198). Across pluralist societies dealing with difficult and contentious social and political cleavages surrounding the appropriate balance between religious accommodation on one hand, and gender equality on the other, there is much to be learned from each other’s constitutional experiences. The Canadian experience offers a useful point of comparison given the country’s constitutional, political, and social shift towards a policy of multiculturalism and accommodation over the past half-century. Secularism and the degree of religious accommodation within Canada’s constitutional framework remain lively focal points for political debate at both the local and national levels. Examples are plentiful. Recently, the National Assembly of Quebec introduced Bill 62, titled “An Act to foster adherence to state religious neutrality and, in particular, to provide a framework for religious accommodation requests in certain bodies.” Thus begins anew the perennial question of to what extent the Canadian constitution can reconcile secular values with the protection of religious practices, especially within minority communities. From the case of Canada v Ishaq, which concerned the right to wear a niqāb while taking the Oath of Citizenship, in 2015 during the Canadian federal election cycle that unseated the Conservative Party government led by Stephen Harper, to the current debates surrounding Quebec’s new religious neutrality bill between party leadership hopefuls vying for the helm of the New Democratic Party, the question of the place of religion in Canadian society remains at the forefront of national attention. Academics and commentators have contrasted the experience of the Canadian province of Ontario’s 2005 ban on Sharia-based family arbitration that fall outside Ontario law with the 1985 case of Shah Bano, the predecessor to Shayara Bano. Shah Bano led to the Supreme Court of India upholding the right to alimony in favour of a divorced Muslim woman who challenged her husband’s insufficient maintenance following a triple talaq divorce. In Ontario the amended legislation following the 2005 ban “still permits Muslim couples to employ shari’a law if they wish to do so; the door to faith-based arbitration remains open” so long as they are “private agreements [and] meet stipulated formal requirements for domestic contracts” (cf. arguments in this article by Tabassum Fahim Ruby). While Shah Bano precipitated sectarian violence and a political fallout that saw the Government of India effectively overriding the decision in the legislature due to political pressure from Muslim religious authorities, the recent affirmation of the invalidity of triple talaq by the Supreme Court in August may prove more permanent. The current government led under Prime Minister Narendra Modi seems much more adamant than its predecessors on bringing closure to the issue of triple talaq and to end the practice. In Ontario, following a 2003 declaration by the Islamic Institute of Civil Justice that Muslims could resolve family disputes through faith-based arbitration and the ensuing media firestorm, former Attorney General of Ontario Marion Boyd produced a report in 2004 that found no evidence of systematic discrimination in private family arbitration, and that religious laws-based arbitration should continue. However, following significant public opposition to the “sharia courts”, the Ontario government backed away and passed the Family Law Statute Amending Act in 2006 that reinstated government authority over family arbitrations. While in India, historically the push towards a uniform civil code and the doing away with religion-based personal law has been a deeply politicized issue since the colonial era and remains a controversial issue. Whereas as we saw in the Canadian context, the Ontario Government swiftly opted for the preservation of secular legal regimes governing family law through the passing of legislation following the 2005 move away from religious family arbitration-based forms of alternative dispute resolution. Even so, similar models of religion-based dispute resolution exist elsewhere in Western liberal democracies, with the United Kingdom’s Muslim Arbitration Tribunal as one example that went as far as recognizing the validity of Sharia courts. Some contend that since “Britain has demonstrated the possibility of incorporating aspects of religious law into its legal system as a potential tool for the integration of Muslim immigrants,” the same could be done for Islamic integration in the United States. As Shayara Bano demonstrated, religious accommodation for religious legal regimes and practices, in the future, goes so far until there is a violation of fundamental rights so manifestly arbitrary, excessive, and unreasonable, that the constitutional framework can no longer tolerate. Facets of faith-based legal regimes remain in Canada, ranging from the private contracts based on Sharia arbitration that are permitted under the amended legislation to Sharia burial practices. The lessons drawn from the legacy of the triple talaq cases and from Ontario’s experience point to a model of accommodation that allows for protection of the practices of ethnic, cultural, and religious communities while at the same time honouring important fundamental legal safeguards that protect the individual. Shayara Bano is a salient example of how the apex court of a large democracy encompassing nearly 1.3 billion citizens grapple with a practice that is so “manifestly arbitrary” as to warrant judicial review and intervention. To echo the sentiments of Justice Kurian in the decision, ultimately, the question of how to reconcile religion with other constitutional values lies in the hands of the legislatures. It will be up to future jurists and legislators to determine the appropriate balance to ensure peace, order, and good governance. SUGGESTED CITATION Leung, Karlson: Reconciling Religion: Lessons Learned from the Triple Talaq Case for Comparative Constitutional Governance, VerfBlog, 2017/9/10, https://verfassungsblog.de/reconciling-religion-lessons-learned-from-the-triple-talaq-case-for-comparative-constitutional-governance/, DOI: https://dx.doi.org/10.17176/20170910-214602.